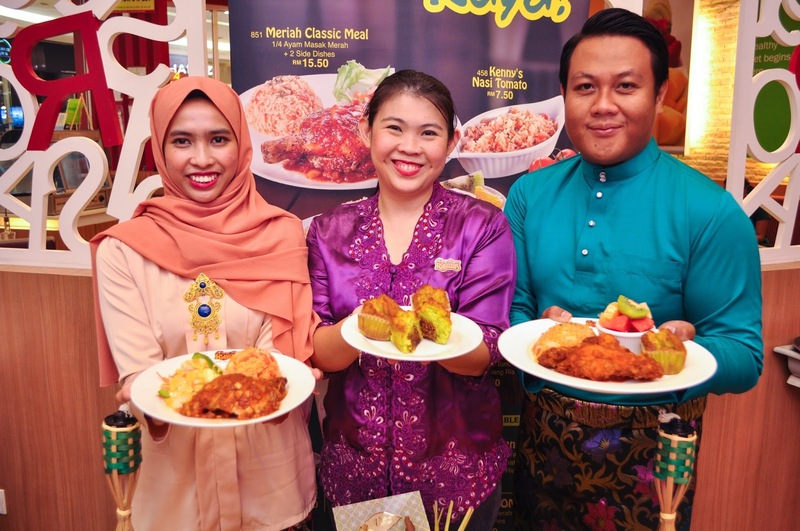 Raya season is the time where Malaysians get their hands on the various local delicacies either at open house visits or Ramadhan bazaars! Specially introduced to usher in the Ramadhan and Raya season, Kenny Rogers ROASTERS (KRR) is offering guests a traditional dish with a modern twist with its new Meriah Raya meal! (Centre) Won Liyin, Marketing Manager of Berjaya Roasters (M) Sdn. Bhd. Take a bite at KRR’s Riang Ria muffin and revel in the creamy pandan taste with a combination of grated coconut steeped in rich brown sugar, a sure taste of satisfaction familiar to Malaysians. The familiar Malaysian dining experience doesn’t stop there as guests can further complete their meal with Kenny’s Sirap Bandung, a traditional favourite thirst quencher with a creamy sensation of rose and fresh milk. Those looking for something refreshing may opt for Kenny’s Fizzy Rose, a citrusy blend of fizzy citrus crush with sweet flowery rose syrup. 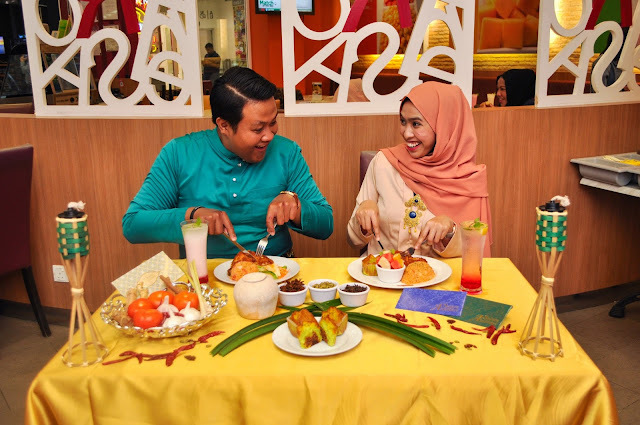 Save up as much as RM 23 with KRR’s Meriah Take Me Home Package at only RM 59.90 that comes with one (1) Kenny’s Whole Chicken OR six (6) OMG Chicken with the Masak Merah sauce, four (4) pieces of Riang Ria Muffins, two (2) side dishes, one (1) 1.5 litre Coca Cola, and a i.Care Bag worth RM 10 for those who wish to enjoy the offering in the comfort of their own home. For those looking to dine in KRR restaurants during the busy break fast moments, they can take advantage of the ROASTERS Ramadhan Reservation (RRR). With just 3 easy steps, there is no more waiting in line during Buka Puasa. Guests will only need to call or walk-in a KRR restaurant, confirm the dining time and order, and pay the bill to get a pre-assigned table number - it is just that easy. Be at the restaurant at the requested time and a hot piping meal will be ready.